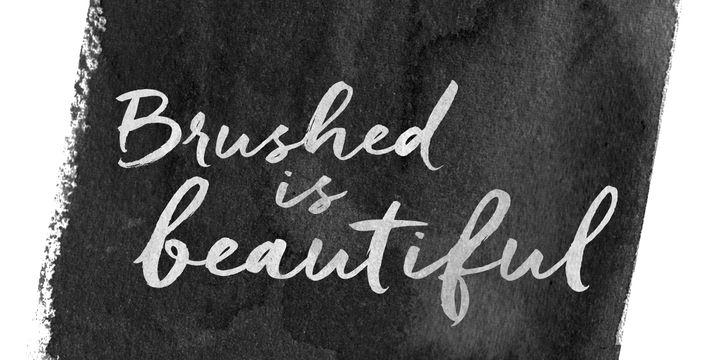 Freeland is an informal brush typeface created by Laura Condouris and published by Trial by Cupcakes. With a creamy structure and fluid lines, it is characterized by graceful and fanciful forms. It displays an edgy modern look in an expressive way. Freeland offers a wide collection of ligatures, stylistic alternates and other character marks that provide the tool kit to create countless design projects. Get brush freedom with Freeland! A font description published on Monday, April 27th, 2015 in Fonts, Laura Condouris, Trial by Cupcakes by Iulia that has 14,525 views.